Nike Nike KD 9 "Hard Work"
Kevin Durant's ninth signature sneaker draws inspiration from his grueling workouts for the release of the Nike KD 9 "Hard Work." The sneaker features a university red and black Flyknit upper with a white accenting Swoosh, a white midsole, and a university red full-length Zoom Air sole. Release date is Oct. 1, 2016 at a retail price of $150. 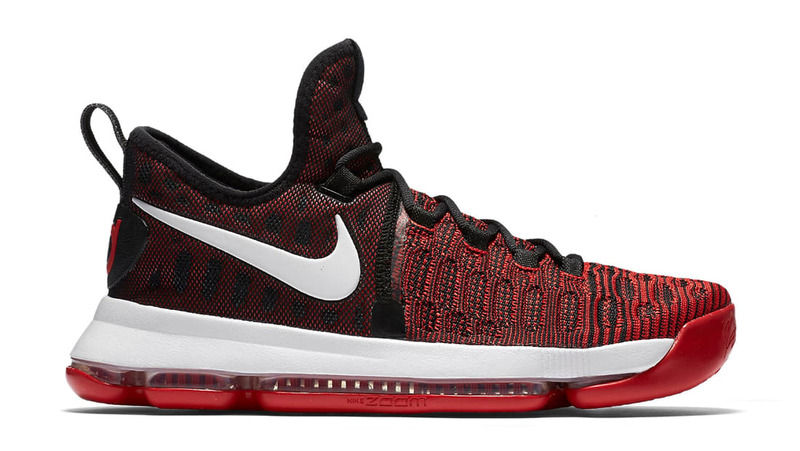 News Nike KD 9 "Hard Work"